For many days, I thought of writing this debrief and finally, I found my way to write my long journey to achieve 720 (Q50 and V37) on GMAT. My path to achieve my dream score is not a simple one. It took me almost 2 years and 4 attempts along with many instances of depression, frustration, sacrifice and many other feelings. I hope my debrief might be helpful to other aspirants in not repeating my mistakes. I am a mechanical engineer, presently working as a project manager in a Maharatna Public Sector Undertaking in India. I have a hectic work schedule. I work for 9 hours/day; 6 days per week. Yes, we don't have off on Saturdays. Additionally, as a part of my work, I have to frequently travel to project sites, which made my hectic work schedule even more hectic. Even though I thought of taking a GMAT way back in 2013, the hectic schedule made me impossible to even start preparation. Finally, after four years, I learned the art of balancing my personal and professional work and started my preparation on Jan 1st 2017. Also, I have a girlfriend with whom I have to spend time. Just to make a serious attempt, I took a separate single room, closed my social networking sites (which are my primary distractions) and started preparing. Also, I told my girlfriend that I might not be able to spend enough time with her for the upcoming few months. She understood my goals and accepted my request. At that time, the only materials I had were Thursdays with Ron videos (for SC), LSAT pdf (for CR), RC99 (for RC), and GMAT official guide (for overall practice and Quant). I got these materials from my colleague and close friend, who scored 740 in first attempt just by reading them. I spent a total 3 months on preparing for the 3 sub topics of Verbal and an additional 1 month for Quant, AWA, and IR. After studying for 4months, I started practicing all the free mock tests available on the internet. Although these materials and mock tests increased my understanding, there were many instances in which I felt that I was not confidently picking the correct answer choices. One fine evening, in the month of May, I decided to give a shot at real exam. So, at 9:30 pm in the night, I booked the slot for the next day morning. Anxiety and thoughts surround me and as a result, I was not able to sleep for more than 3-4hours. Next day, while I was going to the exam, I made a couple of mistakes. I drove to exam center in my bike. It was an hour ride in scorching sun. I was almost drained by the time I reached my center. At that time exam was in the old format and by the time I reached verbal section; I was not even able to concentrate. To increase my focus, I drank redbull (for the first time in my life) during the break. It had an unexpected negative effect on me. I was shivering for almost all the verbal section, a distress added to my reduced concentration. Finally, the result popped up and I scored 680 (Q50 and V31). It was not my desired score, so I decided to take the exam once again. I thought that my reduced score in verbal section might be because of my other mistakes (driving in scorching sun and taking redbull). 1)	Never ever drain your concentration by driving yourself to exam. If possible, try to book a slot in the nearest center so that you could reach it with less hassle. 2)	Never try new things (drinking redbull) during exam. You cannot assume that you will have the intended positive effects. 3)	Don’t think too much of exam result. Just think of the exam day as another routine common day. It will give good sleep. I started again preparing for the exam with the same resources I had. I didn’t have any particular strategy on how to tackle different questions. I was blatantly practicing every possible verbal question in the internet. I haven’t practiced the quant portion as I felt confident. After 2-month preparation, I took exam again in Aug 2017. This time the format had changed and I opted verbal as my first section. Also, I ensured that I didn’t repeat my previous mistakes. After the exam, the score displayed as 600 (Q48, V24). I don’t even know how to react. It was like a hard slap on my face. But I learnt that I am facing a serious concept crisis that I had to improve. The first two persons that I call after my exam are my mother and my girlfriend. My mother encouraged me to try for another attempt. My girlfriend also cheered me to give another attempt, though in her voice I felt that she would be missing me, as I would start preparation. I was lucky to have these two people in my life. 1)	Don’t expect to get a different result, if you practice the same material. 2)	Don’t just go on practicing all the available random material. It will never make your preparation complete. 3)	Don’t leave any section unpracticed.You might lose your grip on your scoring section. 4)	Don’t just blatantly attempt questions. Frame a strategy for tackling different questions and different sections. As round1 deadlines were approaching, I applied to few schools in which average GMAT score was less than 680. I was waitlisted in TAMU and ASU, but finally I didn’t get an admit letter. I decided to again start preparation. This time I decided to improve my concept first. I was looking for some classroom type of training to improve my concept. 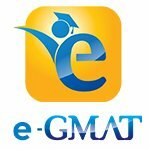 Through the reviews in gmat club, I came to know of this wonderful resource called e-gmat. I subscribed for a free trail and fell in love with the way it has structured the content. I bought their verbal section. E-gmat also has very good planning resource. In their application, I adjusted my score levels to aim for my verbal target score. I noticed that I need to get atleast V37 to obtain a 720 score. So, I set my target verbal score as V39 and started practicing for it. Also, e-gmat helped me to frame different strategies to tackle different questions. For SC: Spend more time on understanding the question. This is the most crucial part for tackling the SC. If you understand correctly what the sentence is conveying, then picking the right answer is a matter of 15-30 seconds. There are many official questions for which you might feel that the correct option has grammar mistakes. But always notice that the correct option conveys the intended meaning of the sentence in much efficient manner than other options. Also, majority of the tough SC questions are meaning based and answering them correctly requires deep understanding of the original sentence. For CR: Comprehend the question correctly and try to pre-think the answer. Don’t go to option choices without pre-thinking the answer. By this manner, you can confidently eliminate the wrong choices and pick the right ones. There might be many cases in which you will feel that you are struck between two choices and unable to decide which one is correct. This situation occurs when you directly jump to options without doing the pre-thinking analysis. For RC: First, understand the passage thoroughly. Spend time, in mapping the flow of the passage. Once you have done this perfectly, you can answer the questions correctly within less time. Earlier, before starting e-gmat course, I used to spend a little time on passage (less than 2 mins) and more time on answering questions. By this approach, I used to spend more than 13-14 minutes in answering a 4 question passage with almost 50% getting incorrect. After changing my approach, I used to spend more than 4 minutes in understanding and mapping the passage. With this approach, I used to get more than 75% correct answers in less than 8 minutes. Initially you might fell this approach difficult and time consuming. But trust me, once you get adopted to it, you can see the tremendous jump in the results. Also, schloranium in e-gmat is a wonderful resource that helps you to analytically understand your weakness and strengths. You will get to know which topic you need to practice more. Moreover, I purchased all the official tests and practiced them. I was in range of 720-740 in all these official tests. Finally, after practicing for 4 months, I took my exam in Aug 2018. The score displayed as 640 (Q50, V26). This was another hard punch in my face. After learning many concepts, practicing for many months, and formulating different strategies, I just got two point improvements in my verbal section. I had no clue about where I went wrong and what should I do next. I was back to square one after 18 months of preparation. Pain, anger, frustration, and depression are my feelings for that entire week. After sacrificing many enjoyments for these many months, I was not much better than my starting score. I eagerly waited for the ESR and shocked to see that I got only 40% in my SC. Whereas, in all my mock tests SC used to be my strongest point with only one or two wrong answers. Also, I scored all the SC questions correct on e-gmat verbal workshop. Moreover, another disappointment to me was my RC was at 25%. I also didn’t expect my RC score to be at that much low. In all my practice tests and scholarnium, I was answering more 75% questions correctly. With my first score, I applied to University of British Columbia and University of Texas at Dallas. I got rejection letters within few weeks. The total rejection letters that I got accumulated to 8. I decided that I didn’t want to end my preparation as a loser and no matter what happens, I will continue pursuing my goal till I succeed. Even though my score in last attempt was low, I was confident that I had a strong concept and that I could easily cross the 700 mark. This confidence propelled me for one more attempt. The e-gmat testimonial video of Nishant was also a source of inspiration for me. The major problem that I faced when I started my preparation this time was I didn’t have enough material to practice. I have exhausted all the available material. So, I explored the gmat club and was luck to find the “everything official” material. I revised my e-gmat concepts and started practicing this material. I attempted all these questions, made a log book for all my errors, and deeply analyzed all my mistakes. Just to make sure, I wasn’t neglecting my quant, I practiced the gmat club quant tests. These tests will make you expose to the tough questions above the level of actual gmat. If you are score consistently 46-49 in these tests, then you will have the potential to score atleast 50 in the real exam. Repeated failures made me accustomed to embracing tough situations. I just revised my e-gmat concepts and some math formulas and spent the rest of the evening in having a good conversation with my family and my girlfriend. My expectation from the exam was very low, so I didn’t felt the usual anxiety and as a result I had a very good sound sleep. I went to exam hall in a very casual manner. I was not even stressed a bit. As usual, I started with verbal section. This time I also devised an exam strategy. I spent the first 40 minutes in answering the first 20 questions. After answering the first 20 questions, the system has automatically tuned to my level and I started facing questions almost near to my capacity. So, I easily answered the last 16 questions within the last 25 minutes. This strategy helped me to understand and answer the questions in a relaxed mode without rush. After practicing the gmat club quant tests, the actual gmat quant section was relatively a cake walk for me. So, I answered and solved all the questions without going for a guess. The final score popped out as 720 (Q50, V37). This was a dream come true moment for me. Finally, after spending 23 months, I passed the 700 barrier and scored 720. I was overwhelmed with happiness. I called my mother and my girlfriend to inform the score. I could sense the happiness in their voices. Tears rolled down my cheeks. I didn’t even got sleep that night. So, I spent the whole night in planning and preparing the list of colleges that I can apply with this score. Next day, I eagerly waited for the ESR. In my V37, I got SC at 94% (only one question I answered incorrectly), CR at 70%, and RC at 77%. This result was very much inline with my official practice tests and e-gmat scholarium report. I credit my success to the e-gmat team and gmat club for providing me the right concept and strategy and also to my mother and my girlfriend for understanding and supporting me through my hardship. 1)	GMAT is a test of understanding. To score higher, your understanding and comprehension must be higher. Never ever follow short cuts on gmat. It might be a trap. 2)	Advance your preparation analytically. Record your errors and observe where you are going wrong. Identify your weak areas. The topics in these areas need to be revised for better clarity. If you have e-gmat, the application automatically does this stuff for you. 3)	In my preparation, I followed a three step procedure: First – understand the concept, Second – confidently pick the correct answers even though analysis require longer times, and Third – practice against timing. 4)	Don’t compare yourself with others. There might be some people who can cross 700 in their first attempt with few months’ preparation. But for some others, it might take years of preparation to cross 700. At the end, achieving your dream score only matters. 5)	Success in GMAT requires patience. Never lose our hope even if you fail for 3-4 times. You might have been very close to success and you might not know about it. In my case, the building blocks required for my success have already been built during my third attempt. I was very close to success, but it took me one more attempt to succeed. So, never ever lose your hope on your dreams. My struggles haven't ended with my increased score. Even with 720 score, I was rejected by 7 more schools - UIUC, Carlson, Rotman, McGill, Kelley, Scheller, and W.P.Carey. My total rejections accumulated to 15. At last, I finally landed with a full fellowship at Eli Broad and 70% fellowship at Mays. In future, I will surely write the debrief regarding the struggles I faced during the admission process. Until then, bye and all the best for all the GMAT and MBA aspirants. Originally posted by Krishnakanth5059 on 03 Apr 2019, 14:23. Last edited by Krishnakanth5059 on 20 Apr 2019, 03:07, edited 2 times in total. 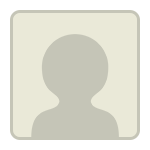 Krishnakanth5059 - thank you for taking the time out to narrate your story. Your story will likely help those who want to improve from low 600s; especially those aiming for a scholarship. "Don’t just blatantly attempt questions. Frame a strategy for tackling different questions and different sections." A number of people who come with the CAT ( Indian equivilent of GMAT) background do this and end up wasting not only time but also precious questions. It is really important to recognize that acing the GMAT requires you that you master concepts and are able to apply them in the required time. Thank you for posting your story and good luck with your MBA admissions. what a wonderful 2 years journey of perseverance and diligence !!! Your experience gave me hope. Great perseverance and hard work to make your dream come true. Have you started applying to any schools yet? Thank you globaldesi. I have applied to schools and finally got admitted. Thank you Mahmoudfawzy83. I wish you all the good luck to achieve your dream score. Never lose hope in the process. Congrats.Where are you finally joining and from where all did you get an admit? "5)	Success in GMAT requires patience. Never lose our hope even if you fail for 3-4 times. You might have been very close to success and you might not know about it. In my case, the building blocks required for my success have already been built during my third attempt. I was very close to success, but it took me one more attempt to succeed. So, never ever lose your hope on your dreams." Pick of your debrief !! ? Perseverance and faith. Hats off !! All the best for your admissions. I got admitted to TAMU and MSU. My analysis showed me that TAMU better fits to my goals. Great example of patience and preservence !!!!! I appreciate your "never say die " attitude !!! Wow, hats off to you! Congrats on getting admitted and getting 720. I was wondering if you could elaborate on your 3 step procedure "First – understand the concept, Second – confidently pick the correct answers even though analysis require longer times, and Third – practice against timing". What did each procedure entail? First, spend as much time as you required on understanding the concept. Without proper understanding of concept don't so go for problem solving. Second, after understanding the concept, practice questions without timing. At this stage don't aim to solve questions in 90 or 120 seconds. Take as much time (may be 300secs or more) as you want on proper analysis. After due analysis, you should have strong reasons not only for selecting the correct option but also for rejecting the other remaining options. Third, if you are through with above two steps, then the next and final step is to practice against time. At this stage, practice more questions within 90-120 seconds time frame. At the end of third step you will be ready to tackle the real exam. Thank you m1033512. All the best to you too.